Is a Tummy Tuck Medically Beneficial for Men? More and more men are going to their plastic surgeon in Baltimore for a tummy tuck. Dr. Schreiber, a Baltimore Magazine Top Doctor, is more than happy to provide consultation to men considering the procedure and to discuss its benefits. Typically, men get a tummy tuck for the same reason as women, to look better and feel younger and more energetic. Of course, these aren’t the only reasons for a tummy tuck, there are also medical benefits. Often, men who lose a lot of weight rapidly are left with loose skin hanging around their abdomen. This overhanging skin typically can’t be done away with by simple dieting and exercise, leaving a tummy tuck as the next viable option. While it certainly goes a long way in making the abdomen look better, a tummy tuck can be medically necessary for those who develop rashes under the overhanging skin. If these rashes don’t go way by prescription ointments, insurance could even cover the tummy tuck in Baltimore. Another medical reason for having a tummy tuck at a Baltimore cosmetic surgery center is to prevent back pain. Men with weak muscles in the abdomen can often have a condition known as back sway which puts more pressure on the back, leading to severe pain. 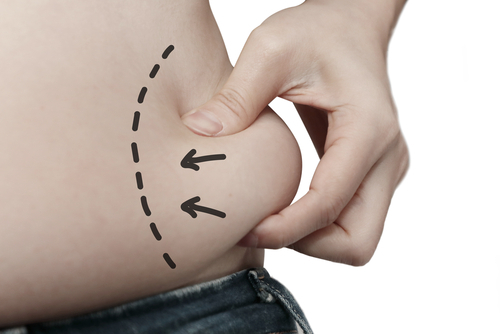 A simple tummy tuck can restore tone to the abdominal muscles and lead to better posture which eliminates back sway. Cosmetic surgery is increasingly common among men who want to look and feel their best. By deciding to have a tummy tuck from Dr. Schreiber, your trusted plastic surgeon in Baltimore, you’re choosing a procedure that will leave your abdomen looking toned. In many cases, despite diet and exercise pockets of fat and loose skin remain around the midsection despite all of your hard work. The only way to really complete the process of toning your midsection and being able to show off your abdominal muscles is by putting the finishing touches on your work by getting a tummy tuck. Looking good is more than just about appearances. It also makes you feel better about yourself and the medical benefits of self-confidence and reducing stress are not to be discounted. Even if you think you’re considering a tummy tuck for strictly cosmetic purposes you might be surprised at the resulting medical benefits. Dr. Schreiber is a past President of the Maryland Plastic Surgery Society who is happy to discuss a tummy tuck with you during a consultation. If you have any further questions or would like to set up an appointment or consultation, call Baltimore Plastic and Cosmetic Surgery Center at (410) 205-1846.